We’ve all been there — those days when you don’t feel like doing much of anything, even though you know you should probably at least take a little walk around the block. At those moments in time, if you had someone pushing you, do you think you’d achieve more? If you’ve been thinking, how do I push myself and improve my health, a workout buddy may be the answer you’ve been searching for. Everyone enjoys time with their friends, so why not hit two birds with one stone? Get a workout partner to gain valuable social time while you enhance your fitness level. One thing is for certain: the majority of the population is not active enough. We are seeing alarming rates of heart disease, obesity and diabetes. Those are all conditions that are directly linked to poor diet and a lack of exercise. Whether you’re looking to lose weight or just improve your health, a workout partner will benefit you in so many ways. Before you begin working out your body, you can tend to your mind. Research has shown that when you maintain rich, meaningful relationships, you can actually improve cognition and overall mental health. Between work and family, many of us do not get much down time with friends. Sure, working out isn’t exactly a night out with your girlfriends, but it is as equally gratifying in terms of social engagement. Although you will likely focus on fitness, you can still catch up and laugh — something that will help you decrease stress hormones and boost immunity. Peer pressure doesn’t end in adulthood — we are still largely influenced by our peers. If you are the only one in charge of your workout, you may decide that you don’t feel like it one night, which can quickly turn into a snowball effect. After skipping one workout, you may skip two, until you are no longer working out on a regular basis. Of course, when you have someone else on board, they will likely motivate you — just as you will motivate them when they don’t feel like working out. A workout buddy is essentially a partnership, as you help one another reach your fitness goals and improve your health. When you have a workout partner, you will naturally improve performance levels based on our competitive nature. If your workout partner does 30 reps, you’ll likely follow — even if you only normally complete 15 reps. This has actually been reported throughout a number of studies, as a group can significantly influence performance. Within one study published in the Annals of Behavioral Medicine, when individuals exercised with a partner, they exercised significantly longer. They also improved performance on all aerobic activities across multiple sessions. Just as a workout partner motivates you to exercise, they can also help you achieve more, workout after workout. If you’re like me, I don’t necessarily “workout” in a gym, but I do spend a lot of time outdoors. Whether I’m canoeing, hiking or chopping wood, I am often out exploring. In my case, a buddy is always a good idea in terms of safety, especially when I’m hiking six or seven miles into the forest. Perhaps you can relate? 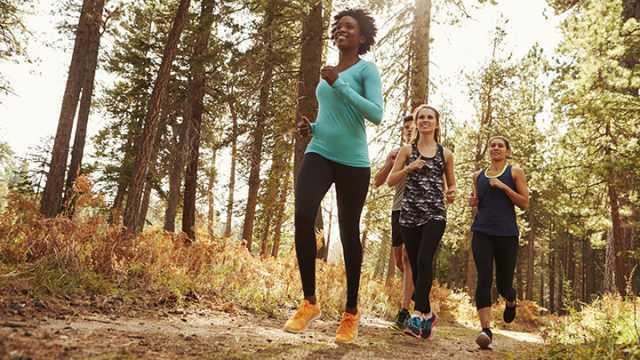 If you’re not one to head out into the great outdoors, a workout partner will still benefit you in terms of safety. Whether that means you will always have a spotter when you’re weight lifting or have someone running with you at night, the buddy system is always beneficial. The combined effect of competition and accountability will result in you completing your goals that much more rapidly. Studies have found time and time again that peer pressure is a powerful tool. Whether you want to quit smoking or exercise more, a friend will help you reduce your risk of relapse. In this case, a workout partner will push you to take that next step, to run that extra mile, and to achieve your goals more rapidly based on their encouragement and persistence. This is why you need to hang out with individuals who are serious about improving their health, ensuring that milestones are reached. When you have a workout partner, you share similar goals — you both want to get healthier. Meaning, when you’re together, you’ll support each other in making healthier choices. Of course, you will encourage each other to be more physically active, but you’ll also help each other get on track in terms of diet. If you have worked out for two hours, you may sneak in an ice cream that you’ve been craving. But with your workout partner by your side, you’re more prone to skip that low-nutrient treat and choose a more beneficial snack, made with these homemade protein powders. Interestingly, in one study published in the International Journal of Behavioral Nutrition and Physical Activity, researchers found that hanging out with healthy friends may be the best way to remain healthy. Based on the 3,610 Australian women studied, researchers found that healthy eating and exercise were strongly influenced by social norms. Even if you have been working out with the same individual for years, you’ll always have something to show one another. Whether it’s previous workouts that you’ve done or something that your workout partner has read in a fitness magazine, you can share these ideas with one another. To build an effective workout, sit down with your workout partner and create a loose schedule in terms of the muscle groups you’ll work. If you workout twice a week, switch things up and encourage each other to try new things, especially when you know it will push you to achieve more. If you live in the same area as your friend or decide to work out with someone from your neighborhood, why not carpool? I’m a huge environmental nut, so anytime I have the opportunity to do my part, I happily do so. After all, every gallon of gas contributes to emissions. Even better yet, if you are within cycling distance, encourage your workout partner to ride with you to the gym. Riding your bike helps you work your cardiovascular system before you even begin your scheduled workout. That way, you can focus on strength training at the gym, ensuring the most beneficial results. When you achieve something that you’re proud of, celebrating alone isn’t the most gratifying. If you have a workout partner, however, you will share similar goals. And once you achieve them, you can celebrate. As you reach certain workout milestones, you can treat yourselves to something special. 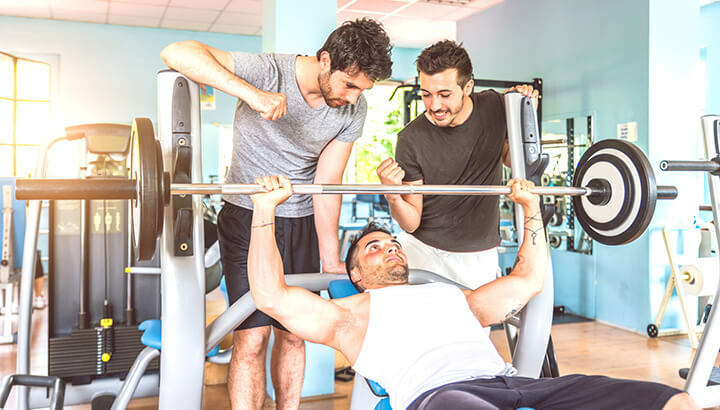 Of course, a workout partner can also sabotage your ability to achieve more, which is why you’ll want to select someone who is positive — not someone who will belittle your progress. It’s important that a workout buddy is ready to work hard and, in turn, celebrate both of your success. Think about it: would you rather workout for an hour with or without a friend? The obvious choice is with a friend, simply because it will make any activity more fun — even when you’re working up a sweat. On the other hand, when you’re by yourself, you may watch the clock, which can diminish your level of motivation. As you catch up with a friend and laugh, time flies. You know what they say, two heads are better than one. And in this case, each of you will bring an added level of motivation and increased drive. So, ask a friend to be your workout buddy today! Hey Buddy!, I found this information for you: "10 Reasons Why A Workout Buddy Is A Good Idea". Here is the website link: https://www.thealternativedaily.com/workout-partner-benefits/. Thank you.